September | 2016 | Dragons Rule OK. I hope you pay a visit. There you can find a bit about the book. Here is a contest that sounds like fun. I’m definitely entering! Welcome back, Renee. I’m so glad you can visit again. 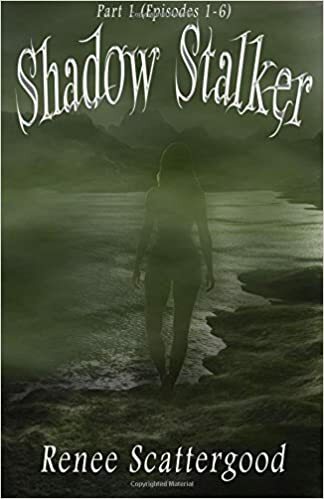 Tell us a bit about Shadow Stalker Book 2. I’m susre everyone will want to know what’s happening to Auren after Book 1. Book 2 lives up to all the promises of Book 1. Auren has to escape from the Galvadi, which she does with the help of the Emperor’s son, Makari. The two of them fell in love when he went to torture her. Auren is a well-drawn heroine. She is realistic and has her faults as well as her good points. She feels fear and anxiety, just as anyone would in those circumstances. Ms Scattergood’s characterisation of all her characters is good. Both books are well worth a read and I can’t wait for the day book 3 is released. Thank you for visiting, Renee. I’ll see you next week for an update on Book 3, soon to be released. There will be another visit by Renee on Tuesday 27th September when I’ll be reviewing Book 3 of the Shadow Stalker books. I won’t therefore be posting on that Tuesday as usual. I have work to do on the edited copy of The Wolf Pack my publisher has sent me. Look for my next post the following Tuesday, October 4th, when, as it’s the first Tuesday of October. I’ll be posting the next episode in Asphodel’s story. Renee Scattergood. Author of the Shadow Stalker books. I welcome Renee Scattergood to my blog today. She is the author of the Shadow Stalker books, which I find a most enjoyable read. Today I will be reviewing Book 1, but first let me welcome Renee. Auren wants to go on a camping trip to celebrate her graduation, but her foster father expressly forbids it, sayin the isand she and her friends planned to visit was too close to the Galvani Empire. Auren, however, defies Kato and goes anyway. Auren learns that she has a destiny. One which the Galvani Emperor does not want her to fulfil. She learns of the mysterious people called the Shadow Stalkers that she has always believed did not exist. There are many questions that Auren has, and gradually, throughout the book, she learns the answers to these questions. Me: Thank you for agreeing to talk a bit about yourself. Fero. I know you don’t talk much about where you came from but please fill me in. You were born beyond thehree Seas, I believe. a son at last as in Beridon, girls are deemed to be of little worth. Fero: Yes. I now realize how bad that is. How much talent is being wasted in that country I can hardly begin to contemplate. It wasn’t until I came to Grosmer that I really learned the value of women. Me: I suppose, growing up with that way of thought you wouldn’t think it unusual. Fero: I haven’t seen them for many years. I hated sandal making but my father thought that, as the eldest son, I should follow him and take over the family business. I would then marry a girl of their choice and look after them in their old age. I hated that idea and was something of a rebel. I took every opportunity to go out into the wilds and it was on one of those forrays that I met an old druid. Fero: Oh, no. I am not a very religeous man, although I do revere Grillon, the god of nature and wild things. The old man taught me much, but even he could see that I was not cut out to be a druid, so he sent me to a ranger friend of his. Fero: My mother would have been quite happy with this. I had two brothers now and they were both happy to go into sandalmaking. My father was completely opposed and forbade me from going. Mother couldn’yt go against him as he would have beaten her and it would still have made no difference to his thoughts. He beat me too, and tried to lock me in my room. Fero: He should have realized that he couldn’t really do that as my brothers had to come in and out! Me: Did you see them? The are supposed to be quite a sight when they ride their horses. Fero: No. I have wondered and wondered why I took that path towards Hambara, but I can’t tell you why. Just a sudden impulse came upon me and I left my companions and turned east instead of west. If I had not done that, I would not have met Carthinal and the others. I wonder what the outcome of their quest would have been if they were not 8 questors as the prophecy had said? Would they still have found the Sword or would the quest have failed? Also, I would not have met Randa either. beyond the Three Seas, but also beyond the Great Desert. learned the value of women. ‘Are they coming to us?’ Asphodel asked, looking at her drink. But they weren’t. They came and stood in front of Asphodel and Syssillina. The other young man took another spare seat and smiled a handsome smile that made Asphodel’s stomach turn over. He had blue eyes and blonde hair. He was tall for an elf, being five foot ten and had the build of one who looked after his body and exercised regularly. ‘Can I get you a drink?’ asked LLin, standing. LLin danced with Syssi, then with Asphodel as Vass danced with Syssi. Asphodel watched them as they danced, treading on Llin’s feet a few times, but he laughed. The girls agreed and the four young people slowly wended their way through the treetop walkways to the girls’ homes. ‘Will you be going to Allimissoro’s again?’ Vass asked them as they stood outside Asphodel’s home. Does he like me? Does he like Syssi better than he likes me? Oh, I can’t tell who he likes better. Please leave a comment about this story. I appreciate all feedback, good or bad. I can’t learn and improve if I don’t know what I’m doing wrong.